John 4:14 has built over 300 wells in Uganda since our ministry began. The clean water problem is a grave and massive global issue — nearly 5,000 children die daily due to a lack of clean water access and proper sanitation. 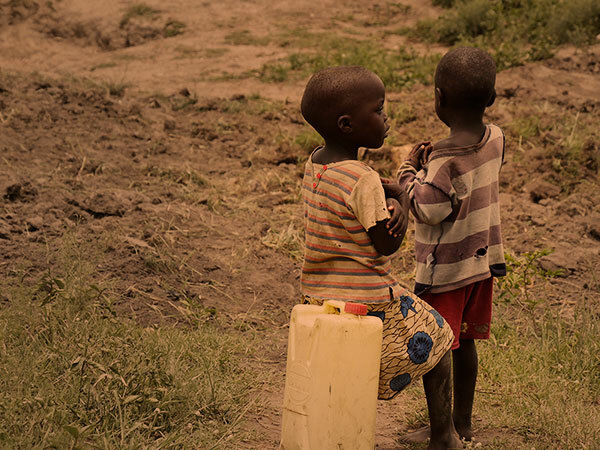 John 4:14 is on mission to solve this problem by building wells, which provide Ugandan communities with a desperately needed resource: safe drinking water. 663 million people live without access to safe water. Every 90 seconds, a child dies from a water-related disease. 1 million people are killed by water, sanitation and hygiene-related disease each year. the number of people John 4:14 has provided clean water since the ministry began. the number of wells we’ve built in Ugandan communities. We provide physical nourishment through the wells we build. But the most important part of our mission is providing spiritual nourishment by bringing the Gospel to these communities. John 4:14 forms a bridge of connection with Ugandans so they might understand the hope found in Christ. Another key part of our ministry is providing comfort for families all over the world who have experienced loss. Building a well is a meaningful way to both honor a loved one and save lives for years to come. We are helping families all over the U.S. and abroad. When a family loses a child, or a soldier or a loved one, these wells provide comfort for the people that are in tremendous pain. Secondly, we’re providing clean water to the folks in Uganda and helping the Ugandans help themselves. The communities are very appreciative for what the foundation is doing for them – even the government!